Unipolar and Bipolar Half Coil, because we're using less turns, doesn't give us great low speed torque, but because of the low inductance, holds the torque out to high speeds. 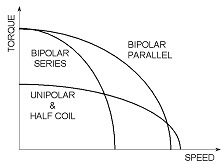 Bipolar Series uses the full coil so it gives very good low speed torque. But because of the high inductance, the torque drops off rapidly. 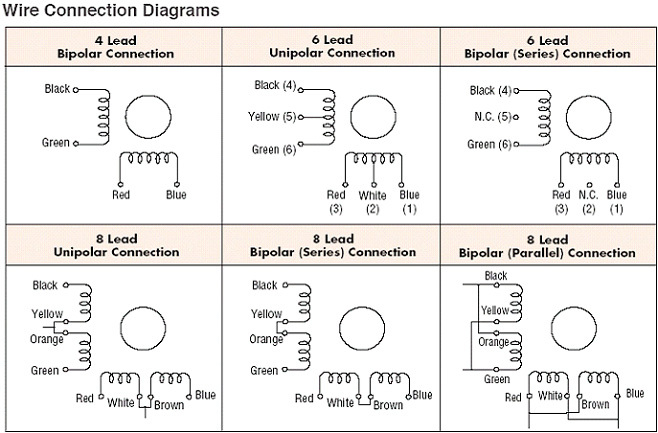 Bipolar Parallel also uses the full coil so it gives good low speed performance. And its low inductance allows the torque to be held out to high speeds. But remember, we must increase current by 40% to get those advantages.